From the archive of Leon Guyot, a good friend, here is a colour photograph taken at the Canley, Fletch South, works. Dated 1982, Ivy Cottage can be seen to the right of the photo, with the gatehouse to the right. 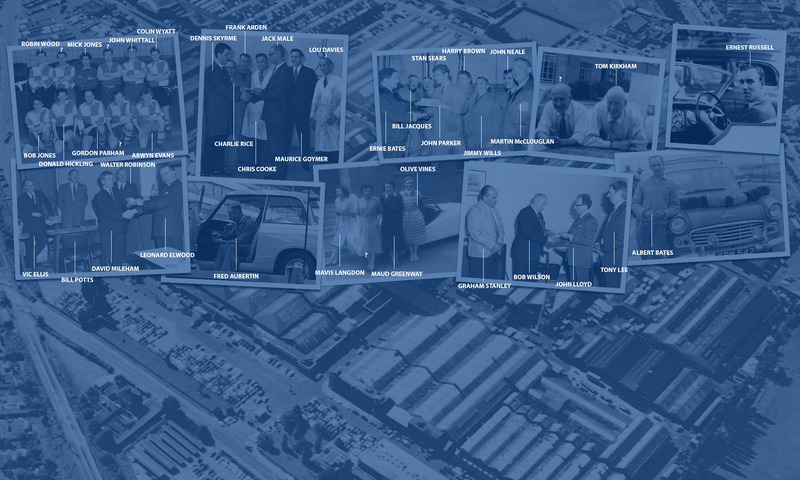 It’s a similar angle (albeit lower) to the one of the workers all coming out, used at the top of this website from the fifties. The cars are, of course, Triumph Heralds. 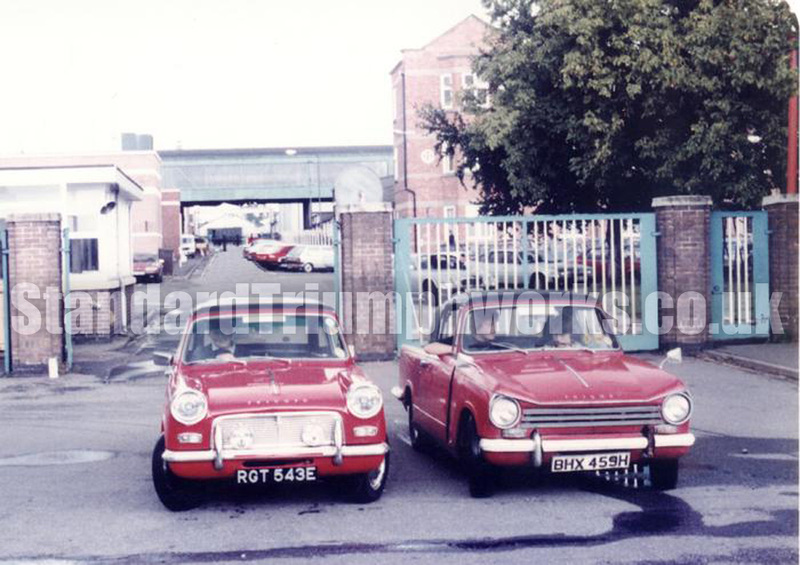 Both in Signal Red with the different Herald design front ends. The left car being the original 948/1200 style and the right car being the later 13/60 design.